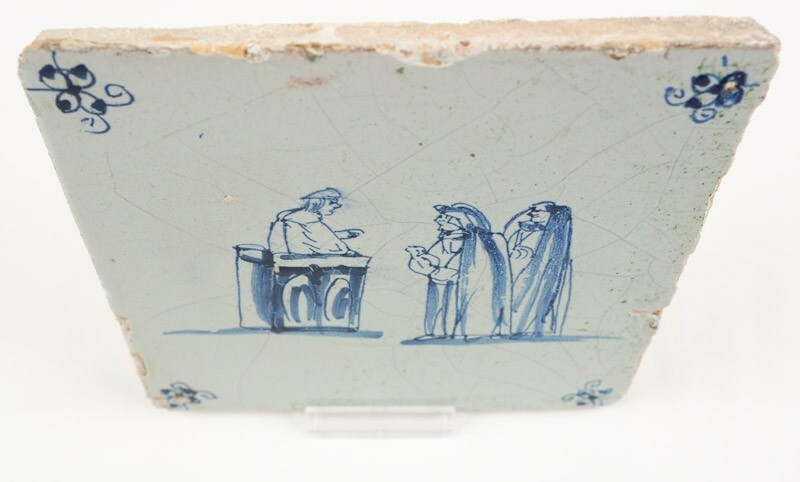 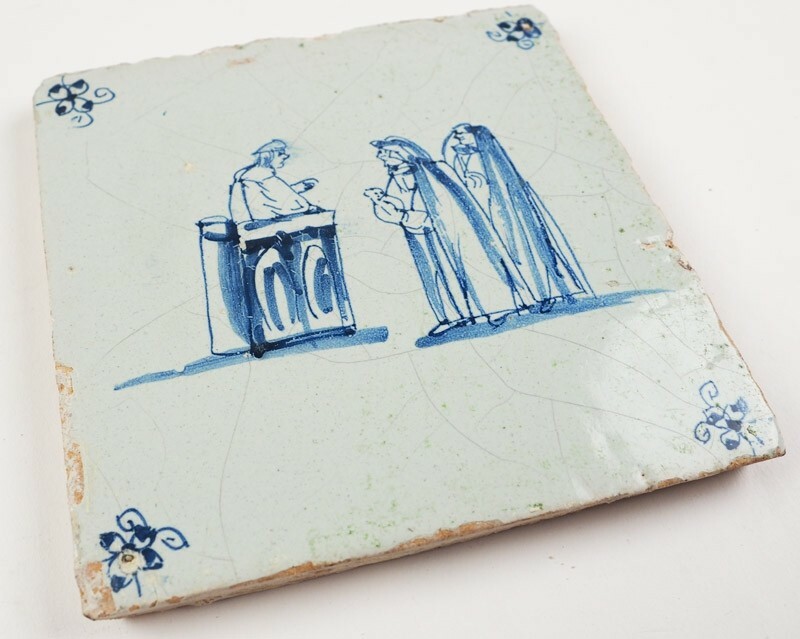 This is a very rare 17th century (c. 1660) Biblical tile depicting the Judgment of Solomon. 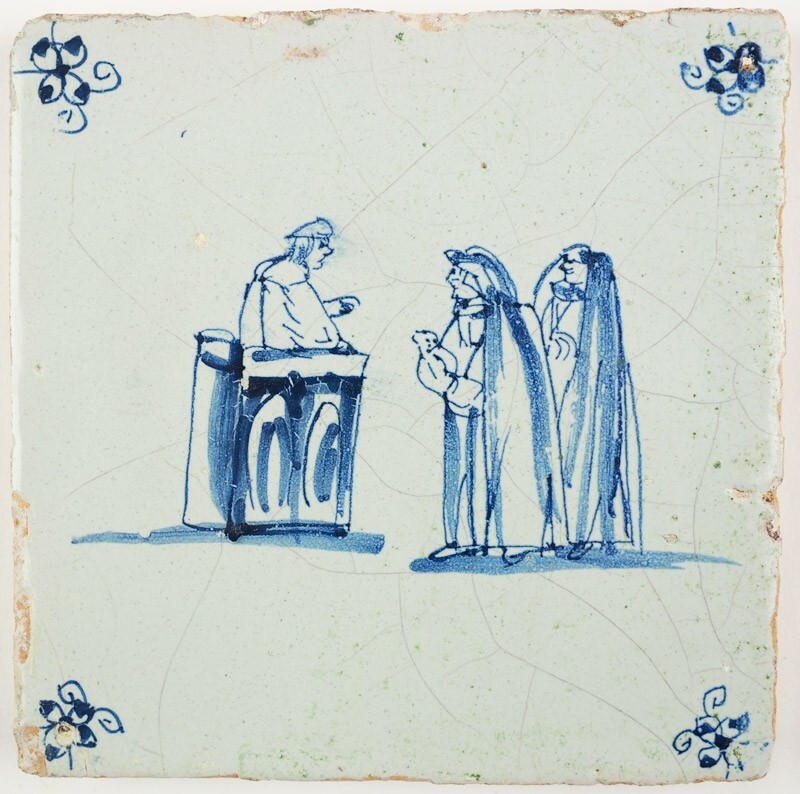 Biblical tiles from the 17th century are not common at all and even on 18th or 19th century tiles this specific scene is very hard to find. 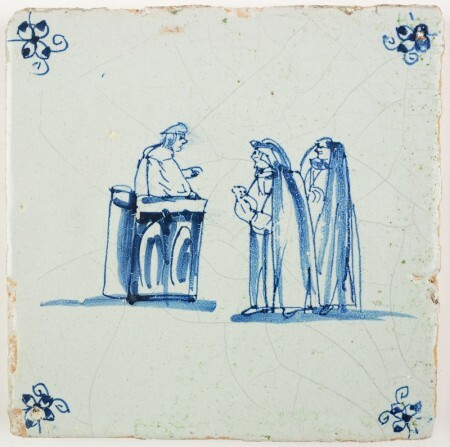 The tile is decorated with 'spider' corner motifs. 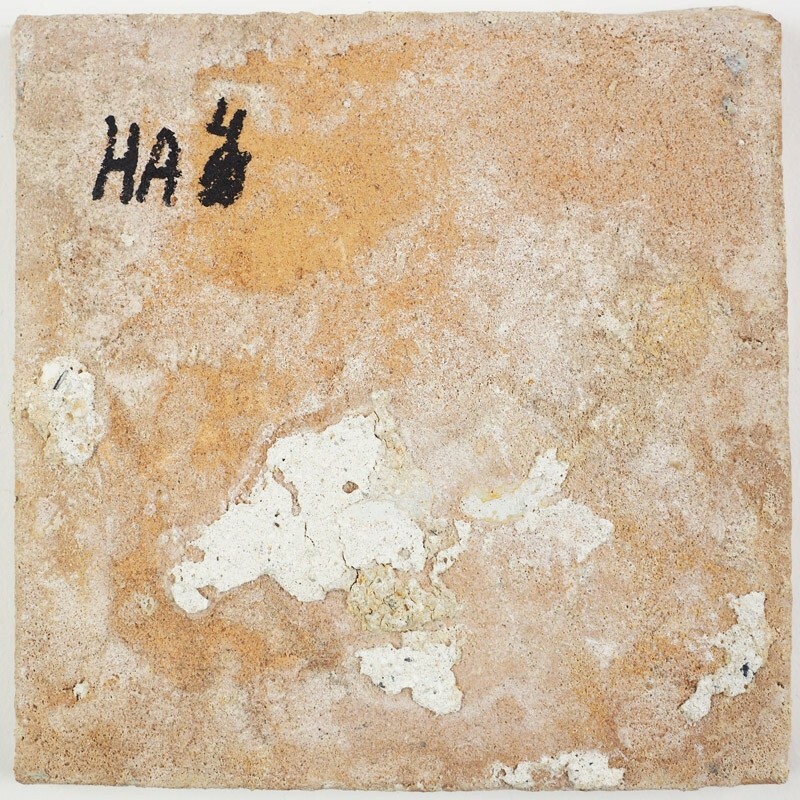 It is in a good condition, but do note the chips on the lower left side.